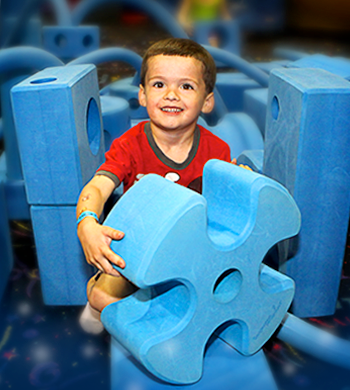 Turn these blocks into a tower, a fort or a bridge – whatever your kids could possibly imagine. 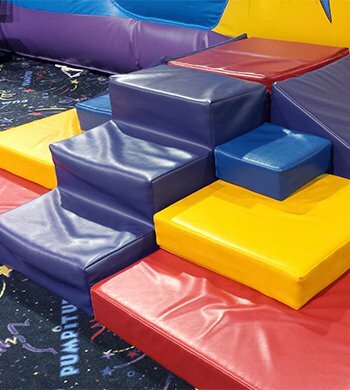 Blocks are available for use in Arena A during open jump AND birthday parties! Our chaos is a maze of wonder. You start off on opposing sides and end up sliding down right next to your new friend! Suitable for ages 4 and up...younger children may be assisted by an adult wearing socks. 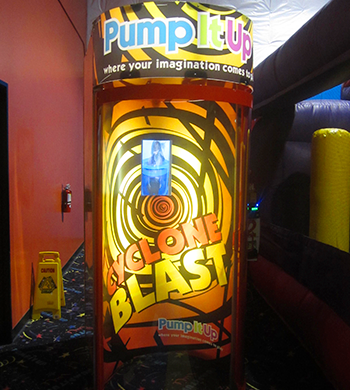 Sports enthusiasts get a kick out of this giant inflatable. 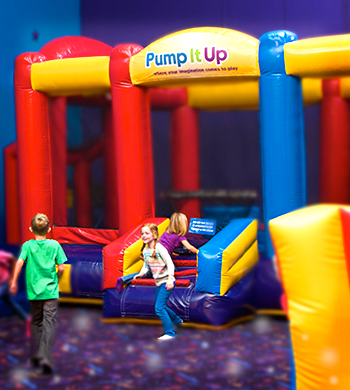 Hold a soccer shootout, shoot some hoops or test yourself with jousting. 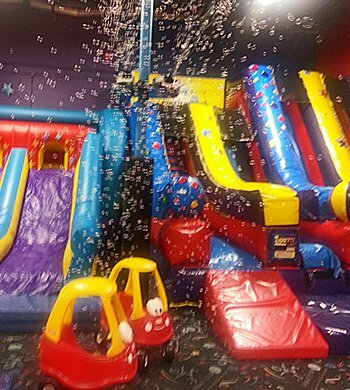 Pick one, or play them all – Triple Threat’s a hit with the older kids, but it's also fun for the little ones to explore and play with all of the colorful balls! 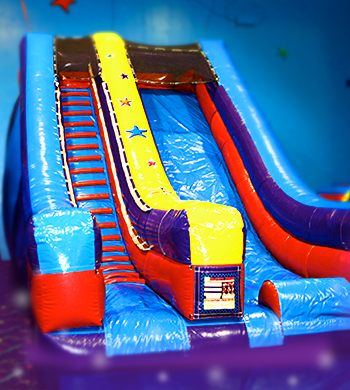 Our big slide is always a huge success with kids of all ages. Always go feet first and use the mats to have the best experience. 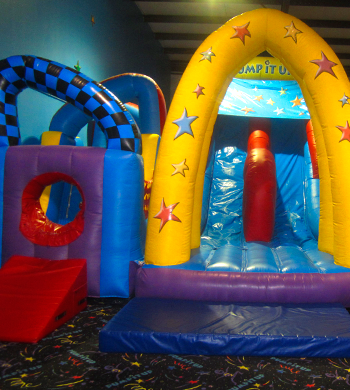 Our toddler soft play areas provide a great alternative for our younger guests and help to spark imaginative play. 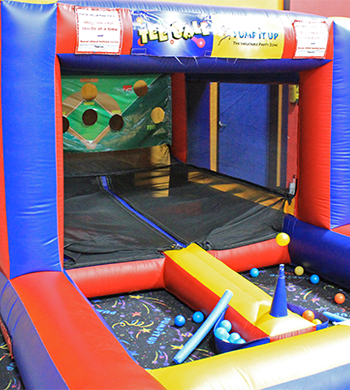 Step right up to the plate & test your skill on our ever-so-popular teeball inflatable! 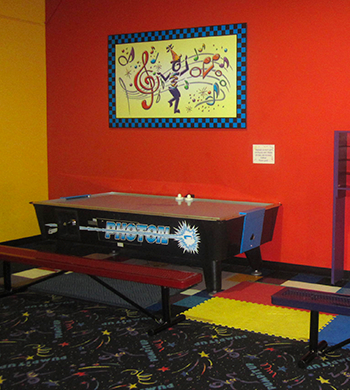 Air hockey machines are located in each of our arenas for a little healthy child and/or adult fun. Cost is $1 (in quarters). Change machines are available for your convenience. 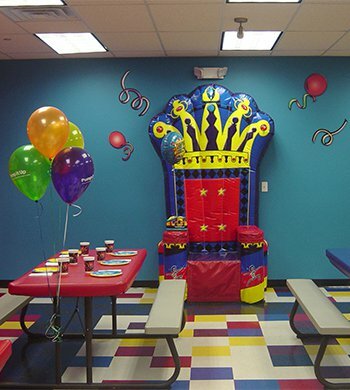 Guests of honor have the luxury of sitting in our over-sized, inflatable throne for the duration of their party room experience. Add bubbles to your next party for only $9.99! 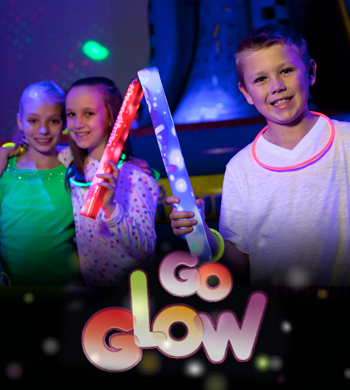 Experience a glow-in-the-dark atmosphere with LED party lights all synced to the beat of energetic music for a flat rate of $29.99-$39.99 (depending on package size).